At last it is here! 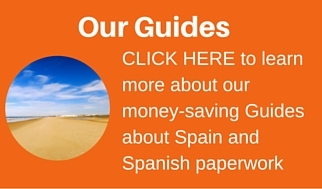 You can now use our printable school holiday calendar Spain 2014 2015 dates to plan any trips and holidays for the coming year. What trips have you got planned this year? 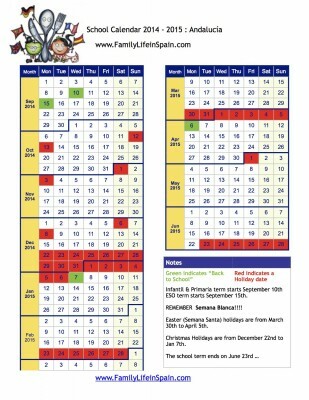 As we have previously mentioned, every year it seems that the Spanish school holiday dates are published later. 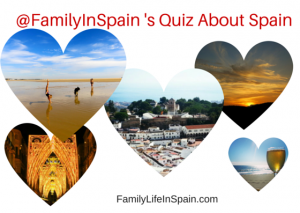 We are always eager to start planning all our holidays and visits to new places in Spain so this printable School Holiday Calendar Spain is an absolute essential tool. Please remember that most provinces may also have local holidays, such as Semana Blanca in Málaga. Semana Blanca 2015 is not mentioned in this School Holiday Calendar Spain, as published by the Junta de Andalucía, so please make sure you check with your own school before making any travel plans. (Semana Blanca is usually the week that coincides with Día de Andalucía, February 28th).